Classic French cuisine features five mother sauces that can be enhanced with spices, herbs, meat, vegetables, and more to be made into numerous other sauces. These foundational sauces present vastly different flavors and textures, making them ideal for hundreds of sauce variations, some famous and some not. These five mother sauce recipes are for bechamel sauce, Espagnole sauce, tomato sauce, hollandaise sauce, and veloute sauce. Sometimes mayonnaise and vinaigrette are argued to have been on the original mother sauce list, but this one is the most modern version. 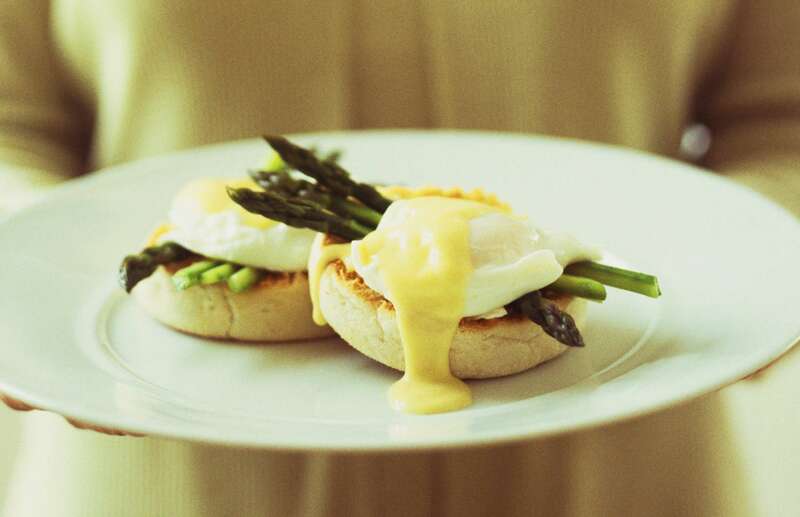 Velvety, creamy and smooth, this hollandaise sauce recipe is the perfect complement to poached eggs and asparagus. For the best results, serve classic hollandaise sauce fresh, while it's still hot. With a little practice, this elegant recipe becomes very simple, so it's easy to make a new batch for every meal. This Béchamel sauce recipe makes a creamy, sauce used to enhance many French recipes. Known as one of the original mother sauces of French cuisine, it came about as an improvement upon veloute sauce. Add a few herbs to it for variety, and it goes exceptionally well with vegetables. Use it as a base for multiple, other French sauces and recipes. This Provencal tomato sauce recipe is a basic of the local cuisine, but it tastes anything but basic. Fresh tomatoes lend the sauce a bright flavor, and the addition of ham and bacon give it an incredible, smoky, savory quality. Use this unique tomato sauce to accent pasta, beef, and eggplant dishes. This Espagnole, or brown sauce recipe, is one of the five, classic mother sauces of French cuisine. It is made from simmering mirepoix, tomato puree, herbs, and beef stock. Rumors have abounded for years that French brown sauce was named for the Spanish tomatoes used in one of its earlier versions, or that Spanish cuisine played a large part in its evolution to what we know today. Contrary to popular thought, Espagnole sauce has nothing to do with Spain, but of French stereotypes of Spaniards at the time. This veloute sauce recipe a traditional French mother sauce, meaning that it is a foundational sauce that can be spiced up and used as a base for other sauces. This veloute sauce is very similar to béchamel, but it replaces the milk with chicken stock. Chicken stock is by far the most versatile and subtle choice for a veloute, but fish or veal stock can also be used with equally delicious results. With a little practice, you can master the mother sauces of French cuisine and make your specialties with the flair of the French kitchen.